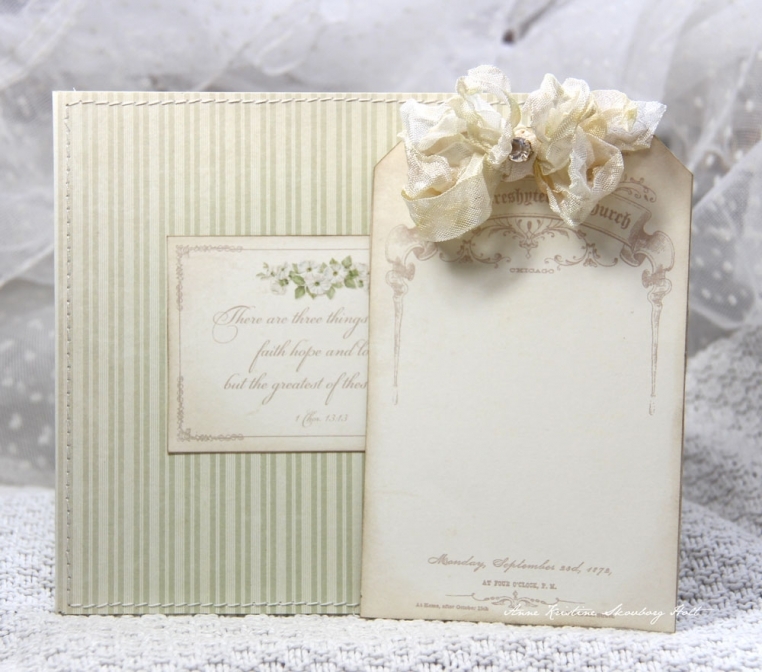 A wedding card made from the beautiful collection Vintage Wedding. The picture below shows the backside of the card and a journaling tag. Oh, wow…such loveliness!! I love the front and back of the card and I love the tag! 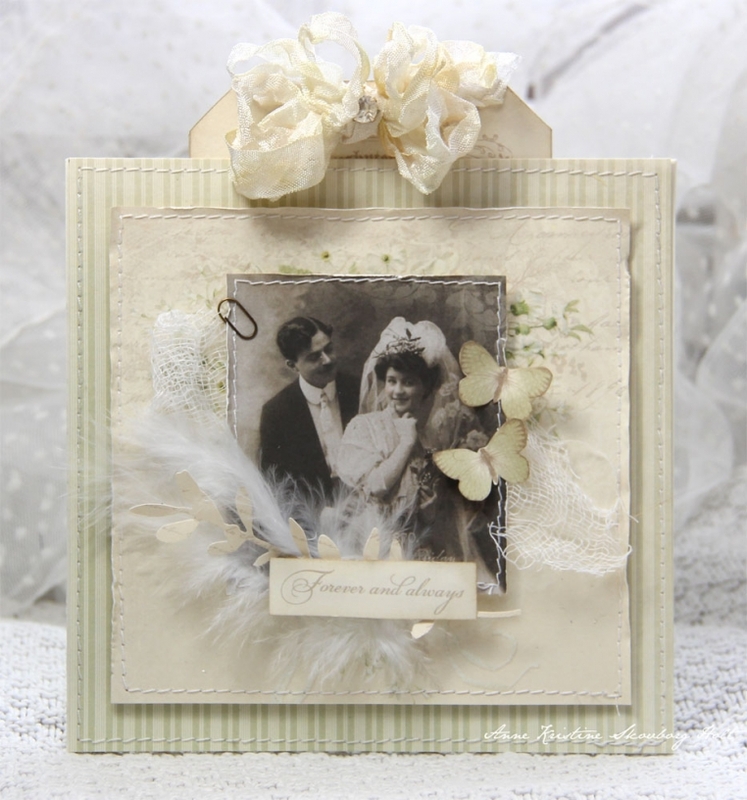 They are so precious with the sweet image, ribbon, feathers and fabric.